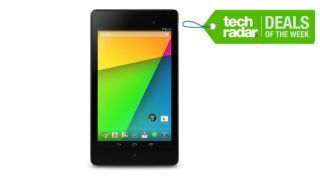 The Australia Day long weekend is giving us an abundance of deals, but $90 off a 32GB new Nexus 7 caught our attention. Bing Lee has the 2013-model Nexus 7 at a sale price of $249, but only up until the end of Monday, so make sure you either order it online or swing by your local store by then. It's also one of our recommended tablets, bringing in Google's newest Android 4.3 Kit Kat OS as well as a great 7-inch screen and a powerful battery. The best bit? It's super cheap. Below are some more Australia Day deals - though some may extend beyond this long weekend, so keep an eye out.